In the first installment of this guest post 2 parter by Toronto fan Nadine Stewart she told us about the best places for sightseeing, shopping and sports in the city. 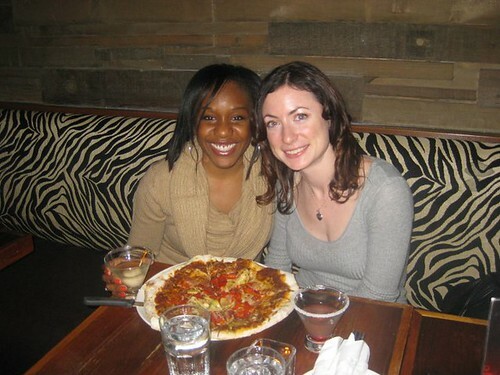 In Part 2 she divulges her insider secrets for the best places to drink and eat and what to see in the surrounding areas. Don’t get me started on the places to eat in Toronto. As well as fun chains like Jack Astors, East Side Marios and Swiss Chalet, there are also more authentic food experiences such as Chinatown, Greektown and Little Italy, not to mention the numerous Jamaican takeaways in the suburbs. Smoked chicken Poutine. Not very healthy, but extremely yummy! Last time I was in town, my brother took me to Bier Markt where they have an amazing selection of beers to choose from. Food-wise, I finally tried the popular Canadian national dish, Poutine. 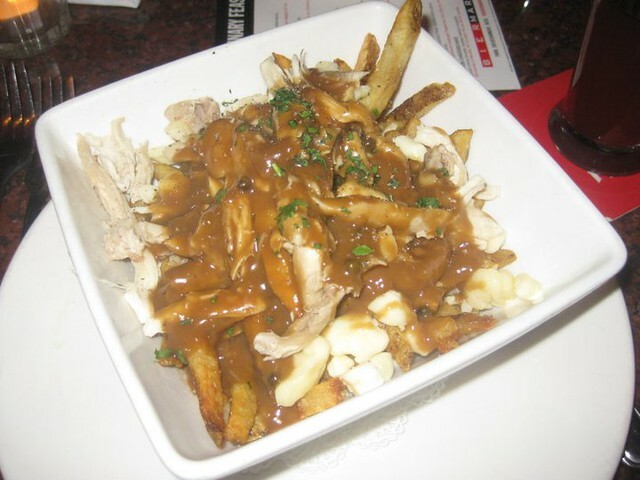 It may not sound too appetising but basically Poutine is fries, cheese curds and gravy. I had a special Bier Markt version with smoked chicken and Leffe Brune peppercorn gravy. It was actually mighty tasty! I can't write about food in Canada without writing about Red Lobster. A chain restaurant and probably not a big deal to North Americans but to me, its synonymous with Canada because I first went there aged 11 and I’ve been there every single trip since. I'm in love with the place. Just thinking about their shrimp dishes makes my mouth water. 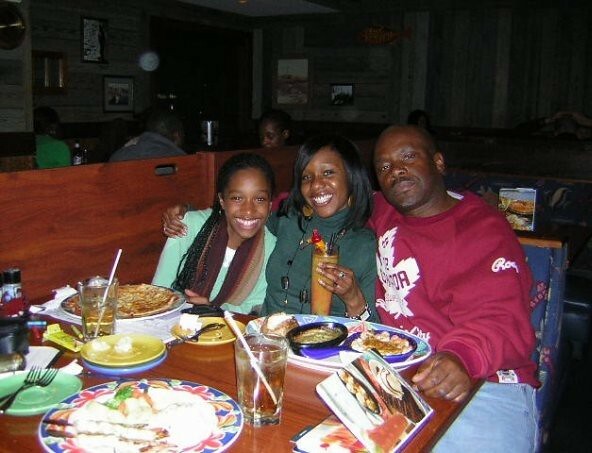 I’ve even started cheating on Canada and been visiting the Red Lobster in Times Square whenever I’m in NYC too. Toronto has great nightlife too. To be honest, I haven’t done the full-on clubbing thing there since the 90’s but more recently it’s been about the bars. I always appreciate a good cocktail, or three! If Martinis are your thing, then Hey Lucy’s is the place for you. The Martinis list makes you feel like it should be your mission in life to keep going back there until you’ve ticked off every single one. Yum. Spring Rolls is a stylish Pan-Asian chain that seems to have restaurants popping up in new locations every time I go back. As well as tasty Chinese, Japanese and Thai food, they also do awesome cocktails and have DJs spinning tunes. Another great thing about Toronto is its proximity to other interesting places. You can drive to Niagara Falls in approx. 1.5 hours, or a 1.5 hour flight will take you to New York and 1 hour flight in the other direction will take you to Montreal. Approximately two hours’ drive north of Toronto, Collingwood is a charming little town that feels like it’s worlds away. 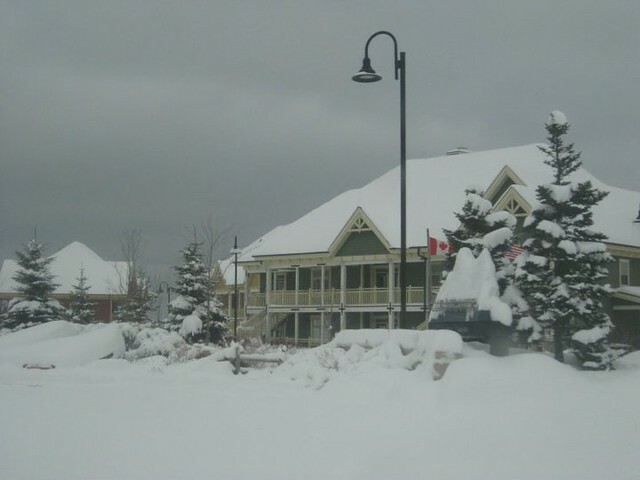 My family and I stayed at the Blue Mountain Resort which has the largest mountain resort in the whole of Ontario and is a lovely place to visit. I truly love Canada. It has a very special place in my heart. Who knows, one day I may even end up living there myself. Until then... how about a Toronto flash sale, Flight Centre?? For the latest deals on flights to Canada visit our website. Sign up to our newsletter to be the first to know of our great Flash Sale offers (flights for just £1 plus tax) - who knows what destination will be next! Plus be in with the chance to win £1000 to spend on a Canadian holiday by entering our facebook contest before the 30th November!